A few of my favorite, most luxurious things. Mark and Graham Charger Roll Up. Traveling in modern times often means packing a lot of technology. Unfortunately, all that technology requires cables, chargers, adapters and lengths of unsightly cords. Keeping track of it all can be both cumbersome and tiresome. Enter the Mark and Graham Charger Roll Up which provides an elegant solution to the problem. 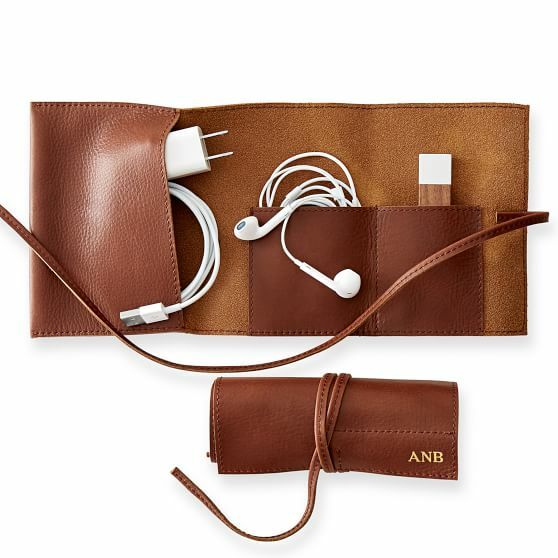 Cleverly designed and made from supple leather, this chic case features three pockets in which to store all your tech needs. 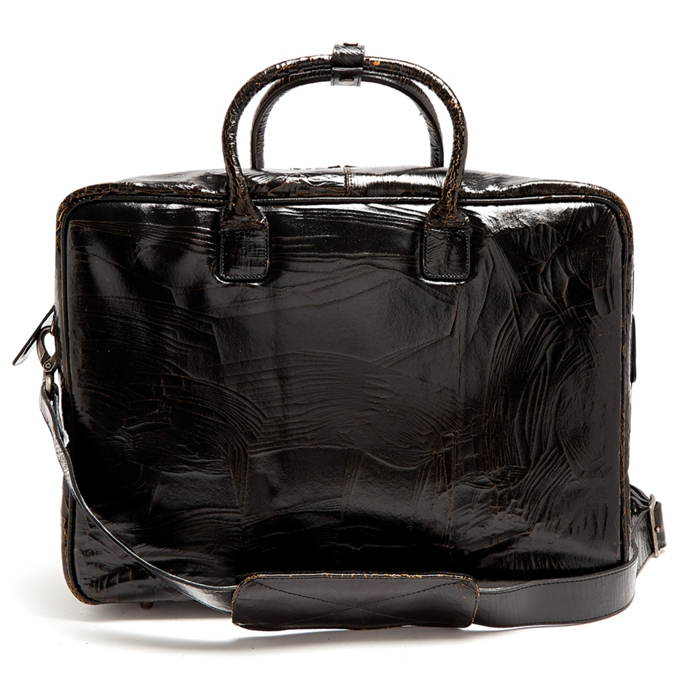 Best of all, once packed, the case can simply be rolled up, secured with a leather tie and tossed into your carry on. For an extra special touch, it can even be monogrammed. How fab is that? 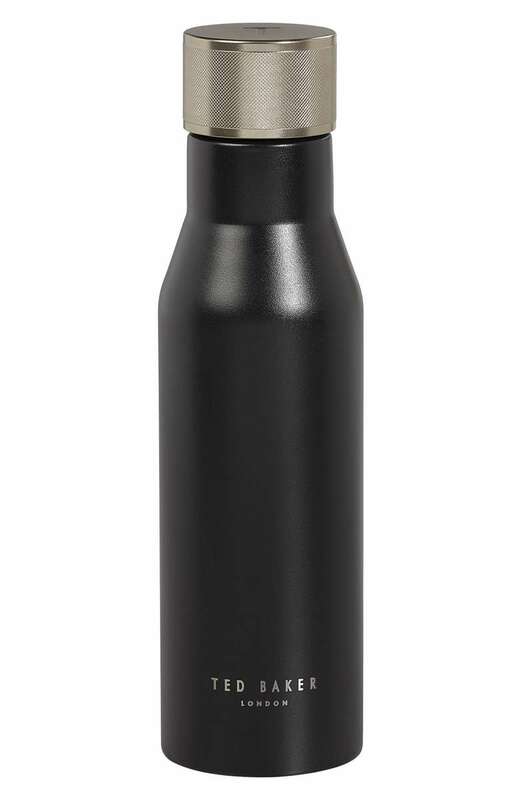 Ted Baker stainless steel water bottle. Hydrate…hydrate…hydrate! It is the ultimate travel mantra. Always have fresh, cool water on hand with this stylish, TSA-friendly, stainless steel water bottle featuring double-wall insulation. Randolph USA”s Aviator II sunglasses. Every seasoned traveler will tell you that a great pair of sunglasses is de rigueur. That is, at least in part, why I have a particular affinity for Randolph’s Aviator II sunglasses which are just as ideal for the fashionable road warrior as they are for America’s real-life warriors. Originally created for the U.S. military in 1982, you might say that these sunglasses are truly battle-tested. To guarantee their durability, 50 different people cut, mold, stamp, twist, solder, plate, and polish each pair of the sunglasses by hand in a six-week process that includes more than 200 steps. Meanwhile the classic styling of the 23K gold frame delivers a look that is both polished and timeless. Better still, did I mention that each frame comes with a lifetime guarantee? Hooah! 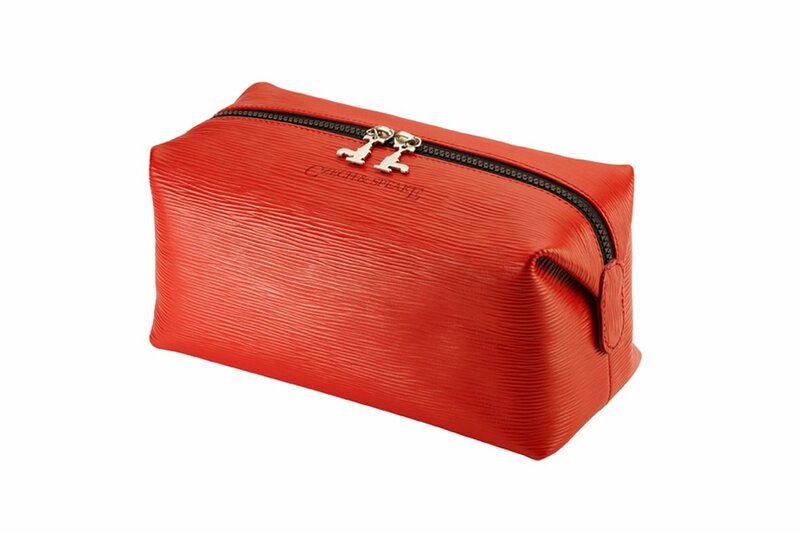 Czech and Speak Wash Bag in soft red leather. A smart toiletry bag is always a welcome addition to any luxe traveler’s collection of accessories. This 4L leather wash bag by Czech and Speake is a particular standout because of its mobile magnetic flaps and general pliability. Moreover, it is just a really great looking piece. Czech and Speake Manicure Set. Proper grooming makes no exception for connecting flights, time zone changes, late-night meetings or changing hotel rooms. When in the midst of a hectic travel schedule, it’s not always easy to find time for a proper manicure or pedicure. Still, there’s no reason for a man to let his hands (or feet) give the wrong first impression. The Czech and Speake Manicure Kit guarantees that such will never be an issue. 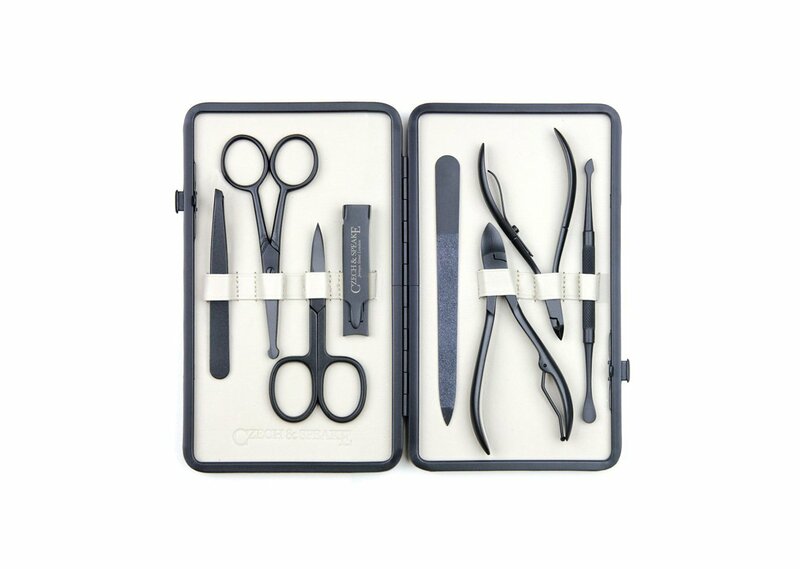 An 8-piece gentleman’s manicure set, the Czech and Speake kit features a tasteful stone and cream colored soft leather case containing: Teflon-coated slanted tweezers, safety scissors, classic nail scissors, nail clippers, toe nail clippers, a nail file, a cuticle nipper and a double-ended cuticle instrument. Give the gift of Uber. An Uber gift card is perhaps the most practical gift on this list, but it is also one of my personal favorites because who doesn’t love to have a black car waiting at one’s fingertips? 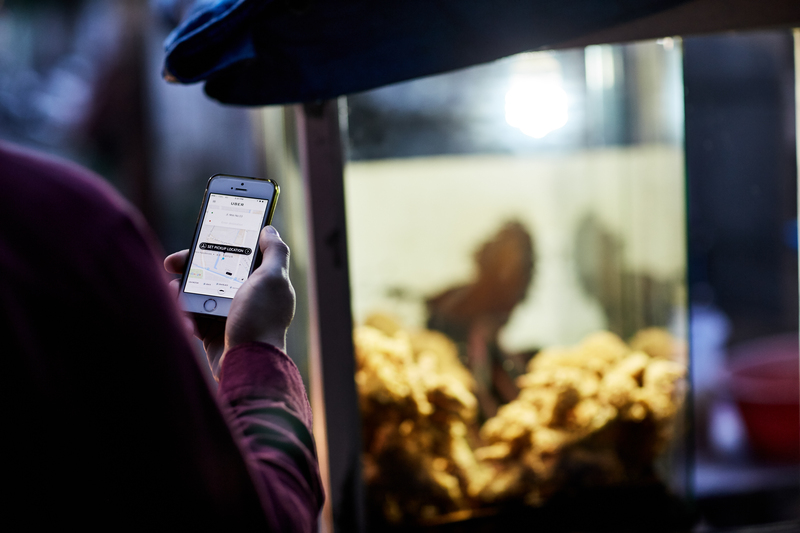 Now, in over 630 cities worldwide, Uber has become indispensable to travelers. Not only can this gift be conveniently delivered to multiple recipients on your holiday list via Uber’s new in-app gifting feature, it’s the perfect last-minute present for those awkward moments when you realize you’ve forgotten a favorite friend or a family member or when someone unexpectedly gives you a gift and you find yourself empty handed. Trust me, it’s more useful than a candle and classier than regifting. The exceptionally elegant Wilde Passpot Cover from Smythson of Bond Street. Smythson of Bond Street is undoubtedly one of the world’s finest purveyors of luxury leather goods and this stunning passport cover from their ultra-luxurious Wilde Collection is proof positive of the fact. 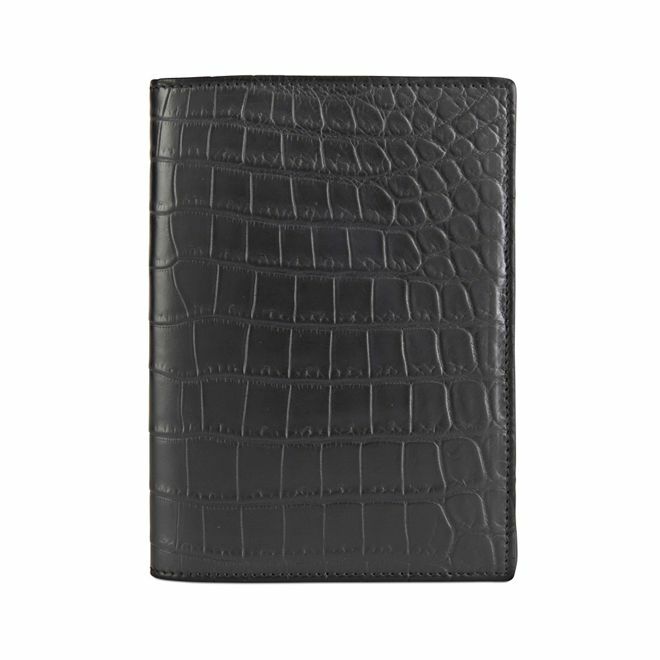 Crafted from the finest alligator skin, this passport cover also features five card pockets and lambskin lining in one refined, statement-making package that recalls the glamour days of travel. This holiday, for a showstopper of a gift that will be treasured for a lifetime, throw in a matching Wilde Large Pouch along with a pair of Mara Luggage Tags, as well. That is, if you’re feeling especially generous, of course. The sleek new Midi Benny Bag from Marc Marmel. When a friend first introduced me to Marc Marmel’s bags, I was immediately smitten. All these years later and I still feel the same level of awe with the debut of each and every new piece in the collection. The Midi Benny Bag is among Marmel’s latest creations and it is yet another must-have. Featuring the line’s signature crackled leather finish, silk brocade lining and hardware finished in antique nickel, the Midi Benny is also deceptively practical. A combination mini-suitcase/carry-all, it boasts a spacious main compartment and four interior zipper pockets, two of which are detachable for jewelry and valuables. For a bag that means business and says it with uncommon panache, look no further. 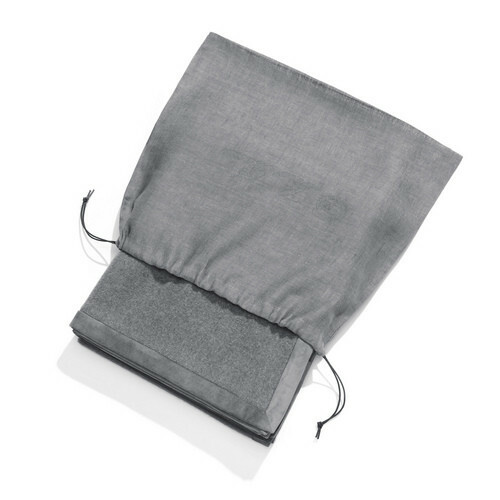 Travel Blanket from Loro Piana Baby Cashmere Travel Set. 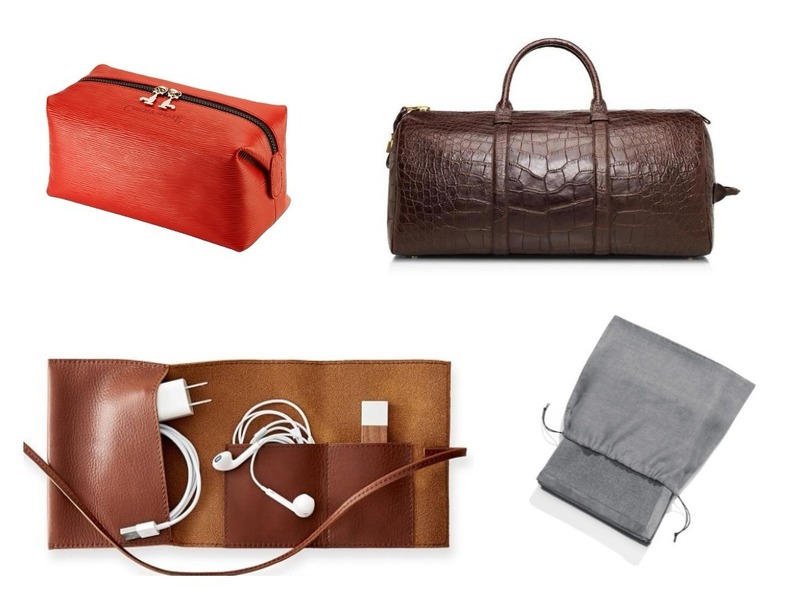 Whether you’re flying private or in First Class, travel accessories matter. This travel set in baby cashmere is not only among the most luxurious options available, it is guaranteed to make any flight seem a class apart. Included in the set is: A sleeping mask in double baby cashmere lined in linen and edged in suede; a travel pillow in baby cashmere jersey with an inflatable lining; a suede-edged travel blanket also in baby cashmere; and travel moccasins crafted from butter soft deerskin and lined in baby cashmere. For a little extra indulgence a Plane Flat Pouch in baby cashmere is also available as an add on to the set. 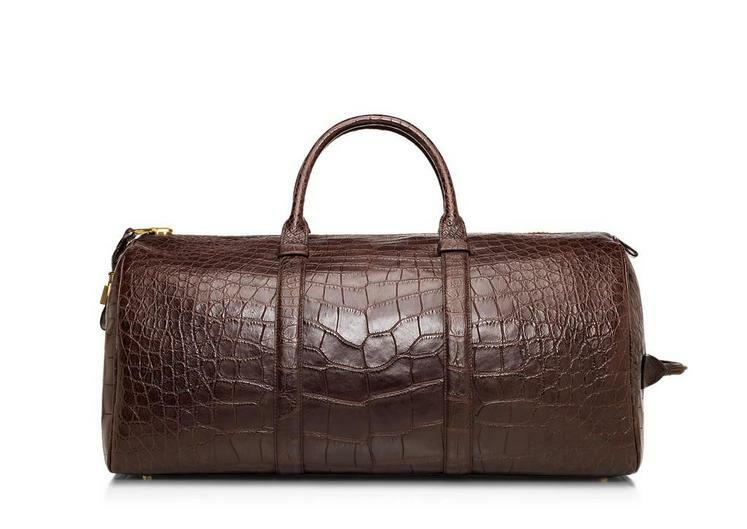 Tom Ford’s Buckley Alligator Duffle is a luxury traveler’s dream come true. I was first shown this bag in Las Vegas and I was so taken, that I asked to be left alone with it for a minute so that I might fully appreciate its majesty. Simple, yet exquisitely crafted, like all things Tom Ford, this capacious alligator duffle is the ideal gift for the man (or woman) who truly has everything. 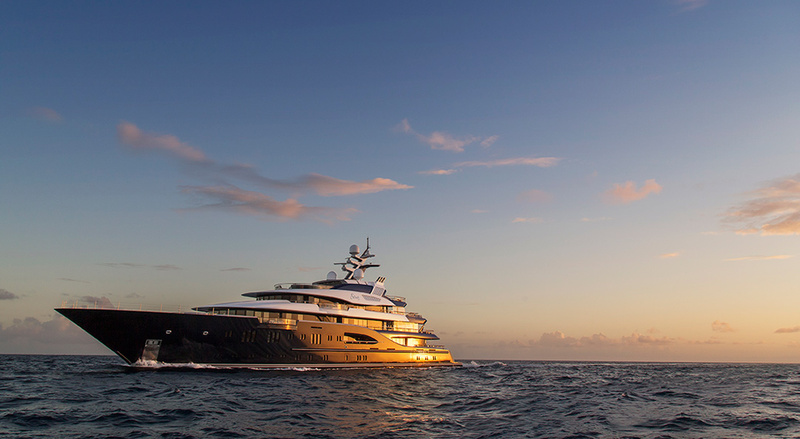 This award-winning superyacht features more amenities than I have space to mention. That said, a few of its more notable attributes include: Seven individually designed state rooms; a full-service spa complete with massage room, hydrotherapy tub, sauna, Hammam and beauty salon; a high-tech gym with jet flow lap pool; a state of the art movie theater; a 30-person crew; and a beach club style bar with a floating Perspex dance floor that converts into a jacuzzi perfect for soaking up those legendary Mediterranean or Caribbean rays on gloriously sunny days. Enough said. Private islands offer the penultimate in luxury. For the ultimate escape, give the gift of a private island vacation.  Private island rentals are on the rise and with them a number of resources like Private Islands Inc. whose sole aim is to help their clientele find the perfect isles for their dream getaways. From Isla de sa Ferradura, a 14-acre resort island just off the north coast of Ibiza which boasts a six-bedroom hacienda, a 22-person staff and a massive rooftop terrace equipped with 2 bars, shady pergolas, a DJ mixing deck and a stage for private concerts to Sunset Key, a 27-acre island located 10 minutes and 500 yards by launch from Key West featuring 40 two, three and four-bedroom cottages perfect for entertaining 150 of your nearest and dearest, there is no shortage of options. Whatever your choice, have no doubt that this is a gift that won’t just make this holiday merry and bright, it will make lasting memories as well.